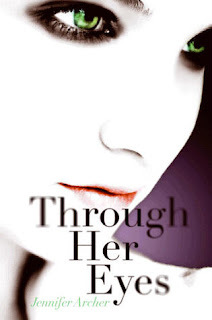 Through Her Eyes is a great mix of paranormal ghost story and contemporary novel. Tansy and her family move around a lot. Her mother is a best-selling horror novelist, who likes to live in the location of her next book's setting. Small, secluded Cedar Canyon, Texas is the last place Tansy wants to be as she becomes the new girl for the umpteenth time and that was before she found out that her house might be haunted. Finding a pocket watch and journal that belonged to Henry, who once lived in the house, and a crystal only added to the oddness of the house. Soon Tansy finds that she can't get Henry's poems out of her mind. As she immerses herself in his writing, Tansy begins to see Henry's black and white world through her camera's lens. The more time she spends there, the less she wants to be in the present and the danger that she'll lose touch completely gets greater. Despite a slow start, Through Her Eyes was an easy book to get drawn into. The small town of Cedar Canyon had just enough of a secluded feel to be the perfect setting for a ghost story. And Tansy's house with its turret and slightly dilapidated interior seemed like it could be the home of a ghost. Tansy was an easy character to relate to, especially her feelings of being an outsider and hesitancy to form connection for fear of getting hurt. The way she fought with her mother and the fierce love she had for her grandfather felt very realistic and really rounded out her character. Her reluctance to make friends in Cedar Canyon and the contempt of some of her new classmates isolated Tansy for awhile. And I was glad when she finally decided to let a few people in. My favorite of Tansy's new friends was Bethyl Anne, with her Shakespearean quotes and astute observations about the people of Cedar Canyon. Despite being younger than the rest of the people in her grade and an outcast, she was more mature and gave Tansy great advice. I wish that Tansy had taken her advice much earlier. It was great to see their friendship grow and strengthen as the story progressed. The time travel/paranormal element of the story was not like anything else that I have ever read. 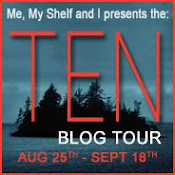 At first, I was worried that it would disrupt the flow of the story, but Ms. Archer wove it in such a way that it was easy to transition back and forth with Tansy. The story within the story was heartbreaking and I could see why Tansy wanted to spend her time there. But, I'm happy with how the book ended. Both stories were resolved in ways that brought them around full circle. Also, I'm glad that the ending didn't leave room for a sequel (at least not that I saw), because Through Her Eyes was perfect as a standalone. I would recommend Through Her Eyes for readers who enjoy ghost stories with twists and stories that combine past and present settings. This one looks really good. I haven't read many ghost books, but the ones that I have read I've really enjoyed.